Dudes. You know how I don’t recommend things lightly? And I will always tell you if someone asked me to, or if I’d be getting anything in return? Well, I bought Shea Henderson’s School of Sewing completely on my own, and I simply can’t NOT recommend it. It’s a valuable resource for any sewist or sewing teacher (there is an actual class following along and commenting throughout), and it is drop dead gorgeous to boot. I bought it because I’ve been making quilts and teaching other people how to make them, and yet I’ve never sewn a zipper or a button hole before. I thought I could have the resources for the basics and try a few of the projects to learn them. Enter Valentine’s Day. It’s five days after my husband’s birthday, so my gift idea well is usually completely dry. He’s extra hard to buy for to boot. 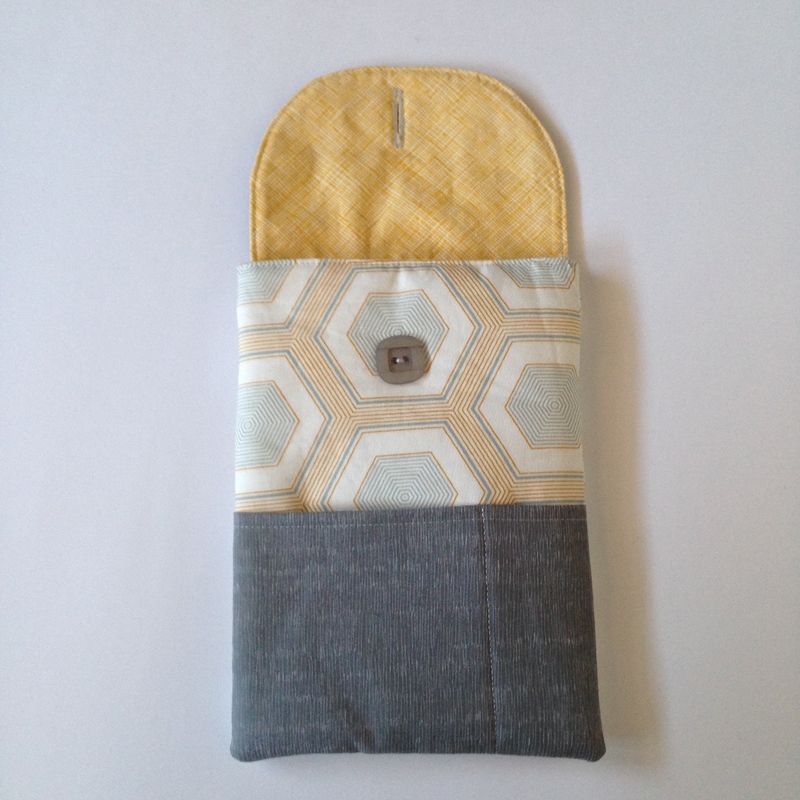 So when I saw that School of Sewing had a customizable tablet case pattern, I had hope. And I pulled it off! I’m so proud. The instructions were clear, and there were photos for almost every step along the way. I used fusible fleece, and made my very first button hole. The case features a print from Vanessa Christenson’s Simply Color line, with accents from Botanics by Carolyn Friedlander in gray. 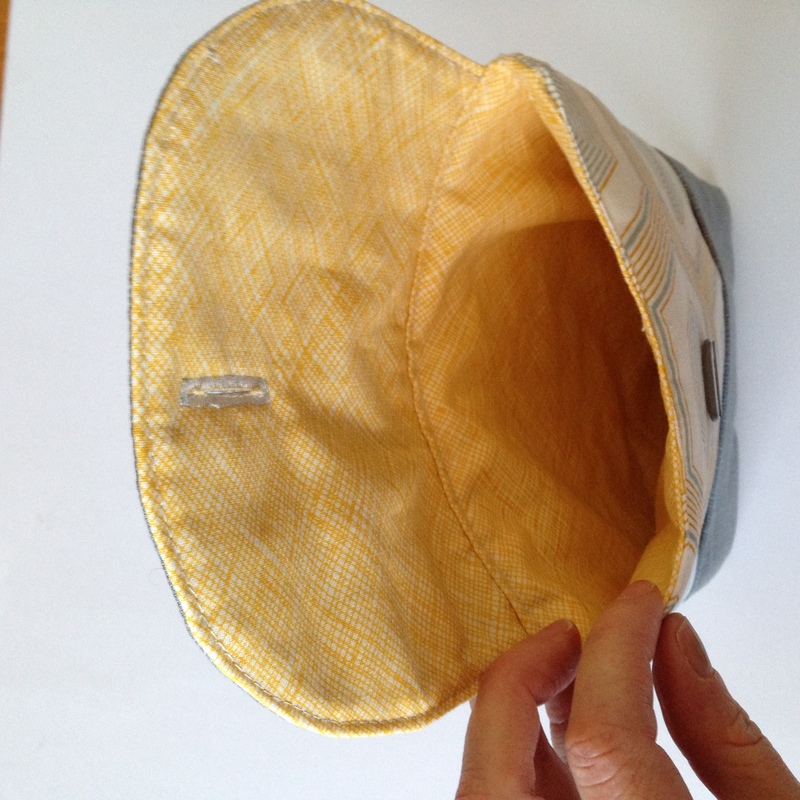 The lining is yellow crosshatch from Botanics as well. 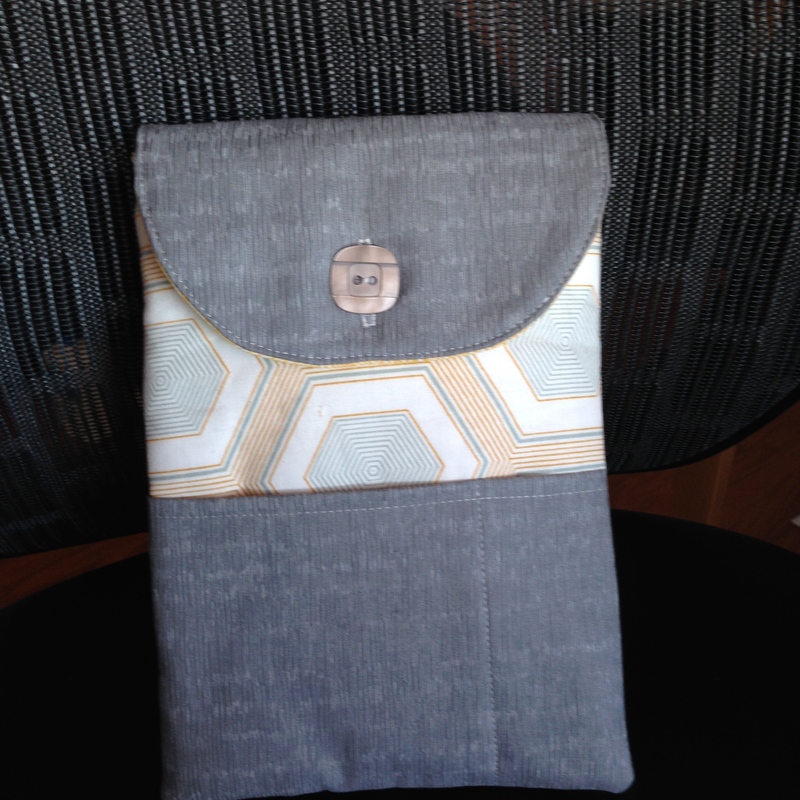 It’s such a good idea for a personal and useful gift that is much quicker than a quilt. What is your go-to handmade gift? That’s so cute, but in a masculine way, of course! 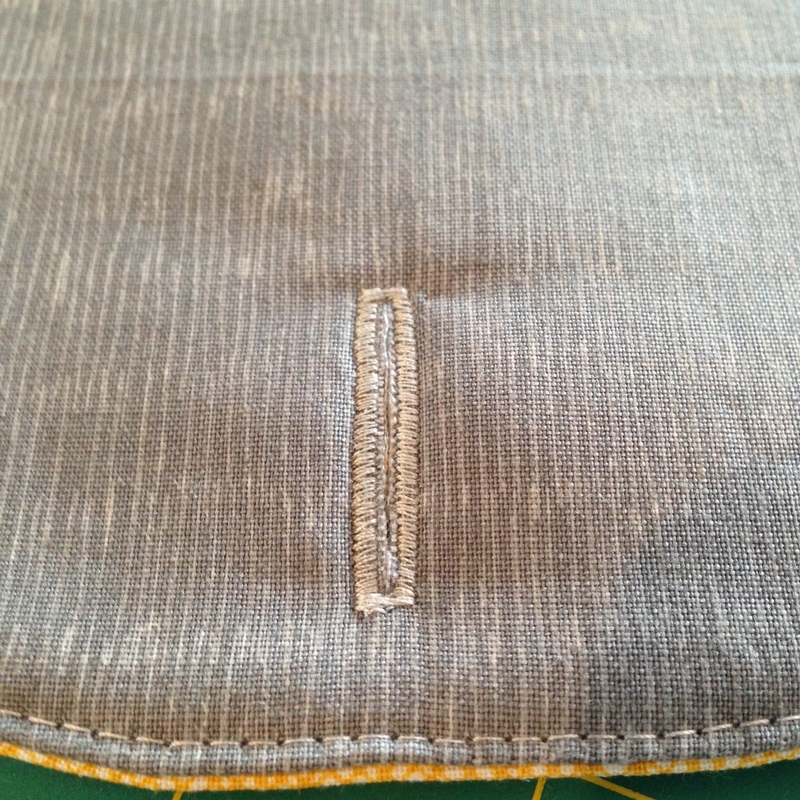 I just made the Husband a case for his tablet, and although I am quite proficient at buttonholes, I made a loop for the button because I thought it would be easier to do up. I made a little matching drawstring pouch for the charger cables too, so he can take that along as well when he travels. What I enjoyed most about the whole thing is that I was able to make something for him by hand, instead of buying a case for him. Oh it turned out so nice! Love the fabrics you chose!